The 1980's Melodic Rock scene may have produced some of the most successful hard and heavy artists that the music biz has ever seen (before or since), but as the decade wore on, it became abundantly clear that creativity had basically been sacrificed on the altar of all things commercial. Like some bastardised version of Walmart, the industry had pretty much chewed everything up and spat it out again in easily digestible packages. There were some notable exceptions such as Tesla and Great White flying the flag for individuality, sticking steadfastly to their principles (even if it negatively impacted those all-important sales), and then there were the "real" musicians...like the much maligned Winger or more pointedly House Of Lords. The very existence of HOL can probably be attributed to Kiss man Gene Simmons – after all he signed one time Angel keyboard maestro Gregg Giuffria's band and then insisted they dump David Glen Eisley in favour of former L.A. Rocks front-man James Christian. 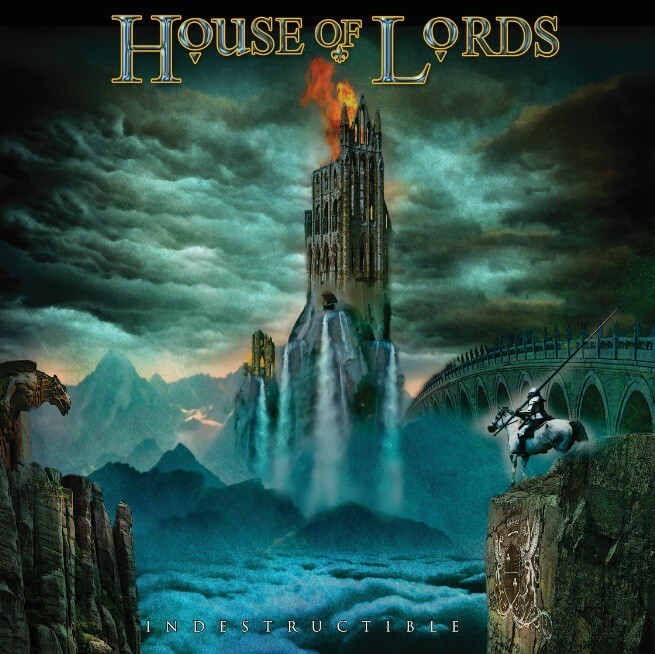 HOL released three musically stunning albums (yes, I'm including the underrated 'Demon's Down') before folding in the early 1990s, only to reform a decade or so later (without Giuffria) for the much misunderstood 'The Power And The Myth'. 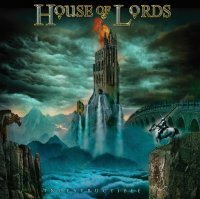 The grand reunion would ultimately prove to be somewhat short lived, but for the past decade or so Christian has kept the House Of Lords name alive, releasing a steady stream of strong new material with a band that, in many respects, is every bit as talented as its illustrious forerunner. By my reckoning, 'Indestructible' is the tenth full-length studio set to bear the name (their sixth in a fantastic decade started by 'World Upside Down') and anyone thinking they must've run out of ideas by now can think again because nothing is further from the truth! Christian's partnership with guitarist Jimi Bell, bassist Chris McCarvill and drummer BJ Zampa remains as solid as ever as they once again crank out a succession of oft heavy, mood driven riffs wrapped around some of the most hypnotically catchy melodies you'll find anywhere this year. Opener 'Go To Hell' is a real contrast of styles – its opening choral chants soon give way to some really vitriolic riffing à la Gotthard, before they hit you straight between the eyes with an absolute monster of a Royal Hunt styled chorus. 'Pillar Of Salt' has a real Led Zeppelin flavour, the pulsing 'Another Dawn' (another great chorus more like) has class written all over it, 'Indestructible' itself is one of those cool, low slung shuffles... okay you get the picture. With creativity still very much at a premium, it's nice to see that there are still some bands you can rely on to deliver the goods!